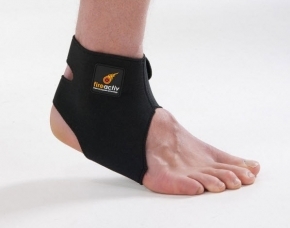 Fireactiv Ankle Support With Deep Heat Therapy. The Fireactiv® ankle support with 2 stage deep heat therapy is designed to provide moderate ankle support and compression around the ankle joint. The wrap around adjustable Velcro fastening strap enables you to alter compression to help reduce unwanted or excessive movements at the inner and outer ankle. Deep heat therapy helps increase local blood flow, easing arthritic pain and chronic aches and stiffness. 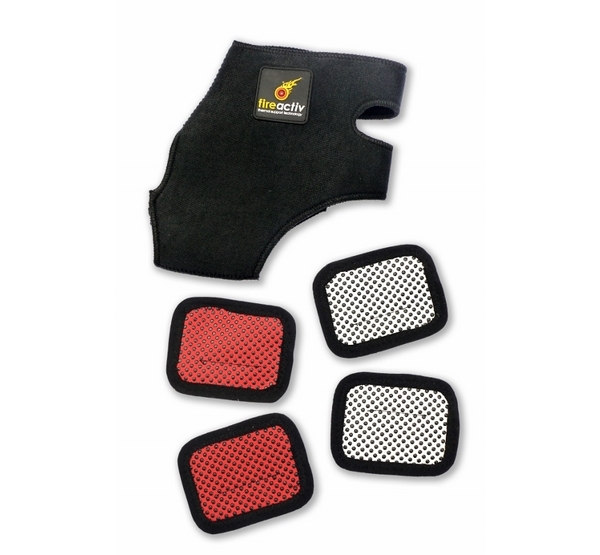 The support can also be used to help acute strains and sprains to reduce pain with weight bearing while the moderate compression helps minimise swelling and bruising following injury and trauma.